There are many benefits associated with leaving the UK and starting a new life overseas as an expat. Currently there are over five million British citizens living moved overseas, with around four thousand more departing every week, so if you have chosen to expatriate then you are joining a vast number who have already done so. Of course, when preparing to leave the UK there are a number of tasks you will have to complete to ensure your move abroad goes smoothly. Remember to get any financial admin tasks out of the way in the appropriate time- cancel direct debits and standing orders, if you forget to do this you could risk annoying penalty charges. Remember to cancel other monthly payments such as satellite television, internet, mobile phone bills et etc. Next thing you'll have to think about will be your bank accounts. Whether or not you keep your UK bank account will depend on a number of factors. You may think that having a bank account in the UK will be useful for paying bills, and other existing commitments that will remain in the UK. However, if you wish to lose your UK residency status and thus take full advantage of foreign tax jurisdictions, closing your UK bank account will be imperative in showing your lack of UK ties. The useful solution to your new banking needs may very well be taking out an offshore bank account. 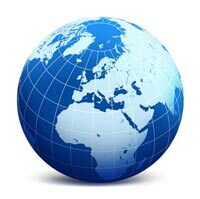 Most offshore bank accounts are perfectly suited to expatriates. With an offshore bank account you will be able to use multiple currencies, which is ideal if you are still going to be using Sterling, perhaps for use with existing commitments back in the United Kingdom. Aside from banking, you should also have the foresight to plan, and budget, for your new home before you get there. Find accommodation beforehand, so that you can factor how much rent you will be spending. Do some research into living expenses in your new country, it could be less or more expensive than the UK, either way you will need to know. Before you leave you must also remember to visit your local tax office to inform them that you will be living and working in another country. All people who leave the UK must also complete HMRC's P85 form. There will also be forms to complete if you expect to still be earning money in the UK, perhaps from property-based income such as rent. The chances are that you currently have a UK pension plan built up through your current employer, and having lived and worked in the UK you will always be entitled to this. But did you know that in many countries UK expats find that their pensions are actually frozen? Yes, the UK government is currently under-fire from enraged expats located around the world who have entered retirement and discovered that their pensions have remained frozen. This means they have not enjoyed the same rises people back home have. This has led to serious repercussions as people simply cannot get by on the meagre amounts they are left with. Taking your UK pension abroad will also mean you have to pay, often high rates of, UK tax on your pensions. The solution? An offshore pension transfer. Offshore pension transfers, such as a QROPS, can be highly useful to UK expats. Anyone who is entitled to a UK pension who is no longer in the UK can transfer their pension into an offshore QROPS. By doing so you will avoid the threat of a pension freeze, and also avoid UK taxes, which will mean you pocket a considerable amount more than you would have. Before you go, consult an Independent Financial Adviser to have your current pension valued and investigate the possibility of transferring it offshore.